Click here for our pricing page. Marie Stopes is Australia’s largest, independently accredited vasectomy provider helping men take full control of their reproductive choices. For the last 20 years we have championed the rights of Australians to access high-quality, reliable family planning and vasectomy services. In that time, over 600,000 Australians have trusted us with their sexual and reproductive health needs. A vasectomy with Marie Stopes is a procedure with the leading name in reproductive healthcare. 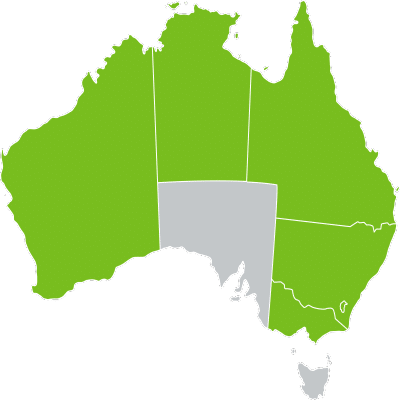 Our vasectomy doctors perform only the most modern, effective and safe vasectomy procedure method (no scalpel, open ended vasectomy), and only use technologies that have been approved for use in Australia. Our painless anaesthetic delivery technique is the benchmark in vasectomy procedures. Pioneered by our lead vasectomist Dr Justin Low, the painless needle technique has been found to reduce sensations of pain caused by the local anaesthetic needle for most patients – with 79% reporting experiencing less pain than expected or no pain at all. Our accreditation and licensing means we are one of the very few vasectomy providers able to offer private health insurance claiming to our patients. Most of our clinics are eligible for private health rebates for vasectomy procedures. Visit your preferred clinic location page to check whether it is eligible. Our doctors are also trained in the ‘painless needle’ technique, which is a method pioneered in Australia by our lead surgeon Dr Justin Low, as a way to reduce discomfort involved in delivering local anaesthetic. You don’t need a referral from your doctor to have a vasectomy procedure at Marie Stopes. Simply contact us and we can organise a pre-care consultation with a nurse and book you straight in for a vasectomy appointment. While a vasectomy procedure only takes up to 15 minutes, it requires specialist skill and training to minimise the risk of pain from the procedure itself and during recovery. Your consultation and vasectomy procedure will take place on the same day with a specialist vasectomy doctor. Only a local anaesthetic is required, but if you do prefer to be sedated we can offer intravenous 'twilight' sedation at our day surgeries for an additional fee. Some variations in vasectomy cost may occur and are influenced by your location and sedation preferences. A number of our clinics accept private health insurance. Please enquire when you book. Our vasectomy prices include a range of free support services such as access to over the phone interpreters, pre-care advice and 24-hour aftercare, giving you round the clock access to our registered nurses. All of our patients are fully supported by a specialised team of practitioners, ensuring you get the best standard of care before, during and after your appointment with us. As the only national vasectomy provider in Australia, Marie Stopes operates under a patient-first philosophy. We constantly monitor, report, and review our complication and satisfaction rates for surgical procedures. For more information about our accredited day surgeries and how they’re performing against the industry’s clinical standards, visit the Marie Stopes Australia website. If you hold a private hospital insurance policy that covers vasectomy. To see which of our clinics are eligible for private health claiming visit our pricing page. Not all policies will cover all day surgery fees. Please speak with your provider to enquire as to your level of cover. From pricing generally applies to patients opting for local anaesthetic who hold a valid Medicare card. Additional costs apply for sedation if elected. Weekend appointments may attract a small levy. Price does not apply to patients without a valid Medicare card. Further reductions for private health or Healthcare card holders may apply. Lowest national price for a local anaesthetic vasectomy is $630 with Medicare rebate, excluding any private insurance rebates you may be eligible for. Please speak to you private health insurer to check what you are covered for.